Taste of Ink, Inc. provides the following company policies and procedures for assistance and guidance. Daily, we develop and continually sustain professional relationships with new and existing companies world-wide. Our overall passion is to provide innovative design, defining content, and an appealing printed brand that will highlight the smallest company in the most competitive industry. Taste of Ink is located in the art district of Scottsdale, Arizona. The corporate address is 9375 E Shea Blvd., Suite 100 | Scottsdale, AZ 85260, USA. This website is owned and operated by Taste of Ink a company registered and incorporated in the state of Arizona. 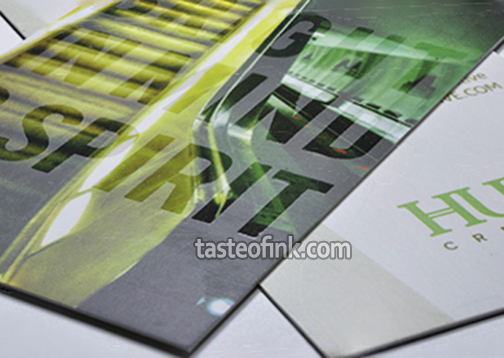 Taste of Ink guarantees prints will not be defective in accordance with CMYK industry standards for “pleasing color ”. All reasonable efforts shall be made to obtain the best possible color reproduction on customer's work. Exact color matches can’t be guaranteed between customer’s artwork, photography, files or previously printed materials due to the inherent variations in the print process. CMYK printing can shift up to 7% in color due to the inherent nature of press calibration in large format printing. Color may shift slightly during the course of a single press run and may vary between separate runs. If color accuracy/matching is critical for silk or plastic products, Pantone inks are recommended. Additional fees will apply for Pantone colors on all silk and plastic products. Taste of Ink does not guarantee color will match the preview as it appears on a customer's monitor, as we cannot compensate for color variance on each customer's monitor. Taste of Ink is not responsible for any color shift that occurs in conversions from RGB to CMYK color modes. 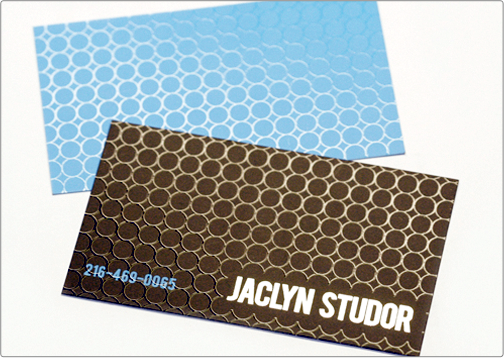 We recommend all custom designs be designed in CMYK and uploaded in CMYK. If you are unable to supply CMYK color files we can convert them but be aware that many of the colors in RGB are not reproducible in CMYK and we cannot guarantee color accuracy in conversion. If you have any questions, please ask a Taste of Ink representative before an official print approval has been submitted for production. A digital proof of work will be submitted for the customer's approval prior to printing. We recommend that customers carefully review all submitted print files to prohibit error. No liability is accepted by Taste of Ink for any errors not corrected by the customer on proofs. Files uploaded by the customer arestrongly recommended to be300dpi or greater to avoid low quality print files. Our posted turnaround times for printing begin ONLY after Taste of Ink has received your approved digital proof. Turnaround times do not include shipping and are calculated as business days not including weekends or holidays. Be sure to factor this into your schedule. Print orders are to be shipped within 12 to 14 business days except for Plastic Cards and Presentation Folders, which are to be shipped within 14 to 18 business days. All listed turnaround times are estimates and are not guaranteed deadlines. Shipping companies require a physical address to deliver to as they provide a door to door service. POBox addresses are not valid for delivery. Tariff rate and policy for print materials and business cards differ by nation. Therefore, we cannot provide specific information. However, it is possible to deliver to most of the nations without special tax. If tariff is levied, this will be paid by the customer. Delays, while rare, may occur. In no case shall Taste of Ink be liable for any consequential or damages resulting from any delay in shipment or delivery due to unexpected equipment failure, malfunction and or technical problems. In case of delay caused by technical difficulty, express order charges/fees will be refunded or waived where applicable. However, technical difficulty will not be the grounds for order cancellation. Shipment and delivery dates are calculated based upon estimates provided by the shipping companies we utilize. All customers agree not to hold Taste of Ink liable for delays in shipments caused by shipping companies, international customs issues or any other circumstances beyond our direct control. ***Turnaround times and shipping times are estimates ONLY and are not guaranteed. All complaints regarding print defects must be brought to the attention of the Taste of Ink print department within 21 days of receipt of order to be considered or reviewed. In the absence of such a claim or after 21 days, the work shall be deemed to have been received, checked and accepted as fully complying with the customer's specifications. In the case of print errors, please send an email to print@tasteofink.com with a description of the print defect. Please submit at least two high resolution photos clearly showing the defect. One showing a close up of the defected area and the other showing an overview containing 20 samples of the same issue. We further reserve the right to have the full product returned for evaluation if deemed necessary. In the event that we have printed a document incorrectly and it is found to be our fault then we will supply a full reprint without cost to you. If you alter the artwork prior to the reprint, change stock or product then this will be treated as a new order and be consequently charged for it. Turnaround for reprints will be the same as standard turnaround times and Taste of Ink reserves the right to determine the method of shipping. We are not responsible for any damages or claims incurred by you or your business caused by receiving printed materials which are defective or incomplete or which you receive later than the estimated delivery date. Due to the custom nature of products we sell, reimbursements for products already on the press or printed are not possible. Partial refunds are available on orders that have begun processing but have not gone to press. A refund will be given for the portion of work that has not yet been completed. A $35 processing fee will be charged if we have already begun to create a proof and the order is cancelled by the customer. To cancel an order, call us at (877)-988-2783 or send email to either print@tasteofink.com orders@tasteofink.com. In the event that a project is inactive for more then 90 days with no response from the customer, Taste of Ink reserves the right to deduct a 15%cancellation fee if the project is canceled and a refund is issued to the client. The customer warrants that the subject matter to be printed is not copyrighted by a third party. The customer also recognizes that because subject matter does not have to bear a copyright notice in order to be protected by copyright law, absence of such notice does not necessarily assure a right to reproduce. The customer further warrants that no copyright notice has been removed from any material used in preparing the subject matter for reproduction. To support these warranties, the customer agrees to indemnify and hold Taste of Ink harmless for all liability, damages, and attorney fees that may be incurred in any legal action connected with copyright infringement involving the work produced or provided. The customer also warrants that the work does not contain anything that is libelous or scandalous, or anything that threatens anyone’s right to privacy or other personal or economic rights. The customer will, at the customer’s sole expense, promptly and thoroughly defend Taste of Ink in all legal actions on these grounds as long as Taste of Ink promptly notifies the customer of the legal action and gives the customer reasonable time to undertake and conduct a defense. Coupon Codes must be submitted at time of order and cannot be applied towards purchase after payment has been made. Coupon codes cannot be grouped up with any other discount offer or with the “taste membership” discount program. Coupon Codes are not available for cash or credit back. Coupons Codes are not valid for previous purchases and only one coupon code is allowed per purchase. Sales tax will be collected on all customers purchasing print products within the State of Arizona. Taste of Ink’sDesign Department will follow company procedures at all time: high level of design work with the correct number of revisions within the expected turn-around time frame. Taste of Ink provides official revisions to assist clients in the design process. 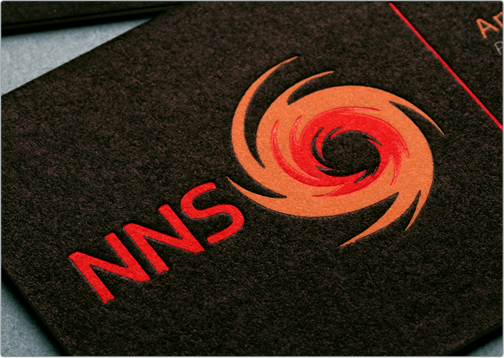 Our passion is to create successful logo design and custom print design. Official revisions are used only for small modifications, typographic edits, color palette changes, and additions to the provided design (proofs). A revision does not include a complete re-design or additional designs (proofs) provided to the customer (client). Due to the complex and subjective nature of design, Taste of Ink requires a design brief to be completed before initiation of any project. The client is responsible for supplying accurate and thorough information in the brief. Submission of the fully or partially completed brief is acknowledgement of acceptance of these Terms and Conditions. Once the brief has been submitted the project is considered initiated, the delivery timeframe begins and cancelation of the project from this point forward may result in the loss of fees paid. It is possible that through the course of a design project that the creative efforts do not align with client expectations. In the event that the client wishes to cancel a design project before completion, a partial refund may be considered. Because design fees are based on time spent in development of concepts and not a specific result, cancellation prior to delivery of initial comps may still be subject to 50% fee. All approved designs created and released to the customer are owned exclusively by you. The only right we retain is the right to display it on our Website showcasing our portfolio of past work. Taste of Ink suggests that all approved logos be trademarked. Trademarking services are available at an additional fee through a third party law firm. Custom design (proofs) that are not selected as the final design (use of ownership) will be considered property of Taste of Ink and can be utilized for other purposes. Taste of Ink may also request additional content from the client. In the case the content is not supplied in a reasonable and prudent time, the project will be placed on hold status. Taste of Ink will not be held accountable for any missed deadlines due in situations where requested materials/actions from a client have not been fulfilled. If a designed file or project has been on hold for over 90 days, the file is immediately closed. We reserve the right to charge a cancelation fee of 15% plus an incremental progress fee for the percentageof the project that has been completed before the balance of the project is refunded.However, the client may request assets at any time for items paid in full. This includes: logo design, business card design, brochure design, letterhead design, envelope design, etc. Please note that communication is not considered a revision. A revision includes multiple proofs being sent to the client. The design project may be reopened by purchasing another project after review. Taste of Ink may terminate a project completely if deemed appropriate. This may occur for any of the following reasons: abrasive language or poor communication. Taste of Ink Studios Website Design, Inc. requests all information and content (consisting of but not limited to photography, copywriting, videos, etc.) necessary to begin an interactive website design project to be supplied by the client. Any digital images and downloads required to be purchase by Taste of Ink Studios Website Design, Inc. to complete a design or any other project will be charged additionally. Before any purchases are made on the client’s behalf Taste of Ink Studios Website Design, Inc. will seek the customer’s approval. It should be assumed that proposed dates and time-lines will enter into effect once all requested project materials have been received by Taste of Ink Studios Website Design, Inc. In some cases we will begin a project prior to receipt of the aforementioned content. In these cases, the client will be notified of the commencement of work. Taste of Ink collects information from clients such as: name, address, email, phone number, etc. and is strictly used to build client / designer relationships, personalize the experience, and/or to process payments. Taste of Ink does not sell, trade, or otherwise transfer to outside parties your personally identifiable information. This does not include trusted third parties who assist us in operating our website, conducting our business, or servicing you, so long as those parties agree to keep this information confidential. We may also release your information when we believe release is appropriate to comply with the law, enforce our site policies, or protect ours or others rights, property, or safety. However, non-personally identifiable visitor information may be provided to other parties for marketing, advertising, or other uses. Taste of Ink reserves the right to do any of the following, at any time, without notice: (1) to modify, suspend or terminate operation or access to www.tasteofink.com, or to any portion of www.tasteofink.com website, for any reason, and (2) to interrupt the operation of www.tasteofink.com, or any portion of the www.tasteofink.com website as necessary to perform routine or non-routine maintenance, website updates, error correction, or any other changes. All content included on this site, such as text, graphics, logos, button icons, images, digital downloads, photographs, data compilations, are the property of Taste of Ink, or its content suppliers with copyright authorship for this collection and protected by the United States and international copyright laws. It is strictly prohibited to retain, copy, distribute, publish, or use any portion of the Content except as expressly allowed in these Terms of Service. In relation to the purchase of our products and services, Taste of Ink accepts no liability for any indirect or consequential loss or damage, for any loss of data, profit, revenue or business (whether direct of indirect), or for any loss to the customer arising from third party claims or delay of delivery, however caused, even if foreseeable. In circumstances where you suffer loss or damage arising out of or in connection with the viewing, use or performance of this web site or its contents other than as a direct result of purchasing a copy of the Product, we accept no liability for this loss or damage. If Taste of Ink is liable to you for any reason, Taste of Ink’s liability will be limited to the amount paid by you for the copy of the Product or Service concerned. The customer agrees to protect Taste of Ink from economic loss and any other harmful consequences that could arise in connection with the work. This means that the customer will hold Taste of Ink harmless and save, indemnify, and otherwise defend him/her against claims, demands, actions, and proceedings on any and all grounds. This will apply regardless of responsibility for negligence. Contracts and deliveries may be suspended or delayed in the event of any (without limiting the foregoing): trade dispute, strike, lockout, breakdown, fire, tempest, theft, riot, crime, civic disturbance, war, legislation, force majeure, or any other occurrence beyond our control preventing or retarding performance of the contract or delivery of work, and no responsibility shall attach to Taste of Ink for any delay, default, loss or damage resulting from any of the above causes, and the customer undertakes not to bring any claim for damages against Taste of Ink arising from any circumstance described herein. These conditions and all other express terms of the contract shall be governed and construed in accordance with the laws of the State of Arizona and the parties agree to submit any requests for arbitration to the jurisdiction of the courts of the State of Arizona.